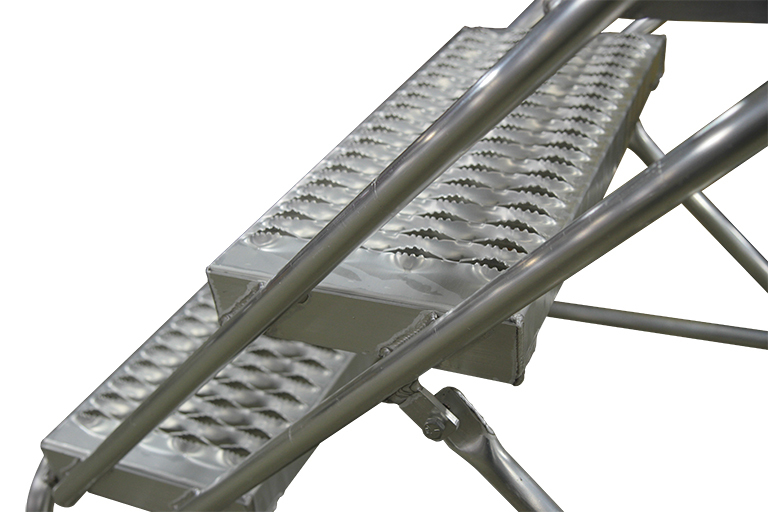 Convenient and heavy duty, STEP STANDS are equipped with non-slip serrated steps. Rubber tipped legs to hold the stand secure during use. A comfortable easy climbing angle of 45°. Steel stands have a gray powder-coat finish and lightweight aluminum stands have a mill finish. Choose from one, two and three step models. 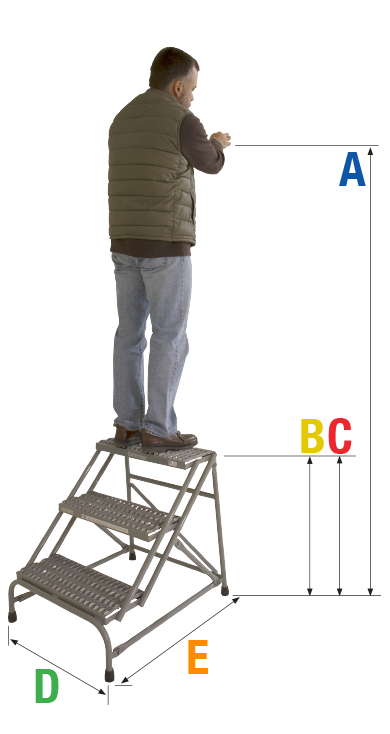 Step Stands & Stools meet applicable OSHA and ANSI standards. All tube members are 1” steel or aluminum tube construction. All welded construction (most models). Gray Powder coat is the standard finish on steel Step Stands. Cotterman® Step Stands & Stools come in a variety of tread widths, depending on model.